OOOH! 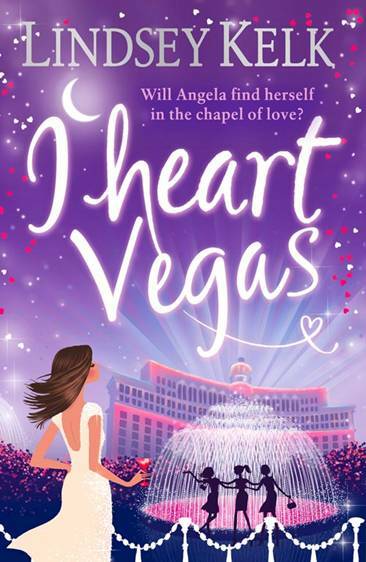 A cover for I Heart Vegas at last! It’s out in the UK on December 7th and I really, really, really hope you like it because it nearly killed me. But that’s another story. Cannot wait for this, December can’t come quickly enough! Looks absolutely amazing. Can’t wait til december!!!!! I really like your series “I like New York, I like Hollywood, I like Paris”. I am just finishing I love Paris. Alex is really cute and I can’t wait to see it in movie version. I have a feeling that it is going to be done in the future. Excellent!! That has really brightened my day! I know this new novel will be as fabulous as all the others and I very much look forward to picking it up!! This is great. I received your first I heart..new york..as a gift from a friend which they got you to sign to me. After reading the first, lets just say I had read the second and third in the next couple of weeks. Love them, and I never have thought to pick up a book of that genre before. Thank you. Oh Lindsey, you can’t say “…it nearly killed me. But that’s another story” and not expect at least one annoying person (on this occasion, me) to say pleeeeeeeeeease tell that story. (Fellow ex-pat. Physically located slightly further north than you – Canada – and slightly further west – British Columbia. But mentally and heartily located in NYC. i.e. extraordinarily envious). Ooh I’m so excited I just finished Paris and I am just so in love with these books! Thanks Lindsey! You’re a fantastic writer and I can’t wait to read Vegas! Xo. FANTASTIC!!!!! Can’t wait, I’ll re-read the other 3 books and then the new book!!! Will everything work out between Angela and Alex… Can’t wait!!! Congrats on the new book!!!! Greetings from Holland. Can’t wait for the book to arrive!! Absolutely obsessed with your books!!! AAAAAAAAAHHHHHHHHHHHH i adore your books i read all off them like a million and 2 times! cant absolutely wait for the new one do alex and angella like get married? cant wait to find out!!!! P.S. there better be a 5 book after this one if not i swear i will die! hi Lindsey! really like your books! when will the “I love Vegas” in Russia? I acquired an epic cold during reading I Heart Hollywood and sent my boyfriend out to buy I Heart Paris, then I made him read passages to me whenever my headache prevented me from reading about Angela. Hi Lindsey! When will this book be out in Asia? Been waitin for this for ages!